Imagine a type of poetry found in ancient cultures all over the world, detailing the most exciting heroic struggles and achievements imaginable. Epic poems do just that! Epics can be found in cultures as far apart as Kenya, India, and Finland. So get your myth-reading voices ready, because you’re about to be swept into a dangerous journey full of daring heroes, perilous quests, and the hope of victory! What is an epic? 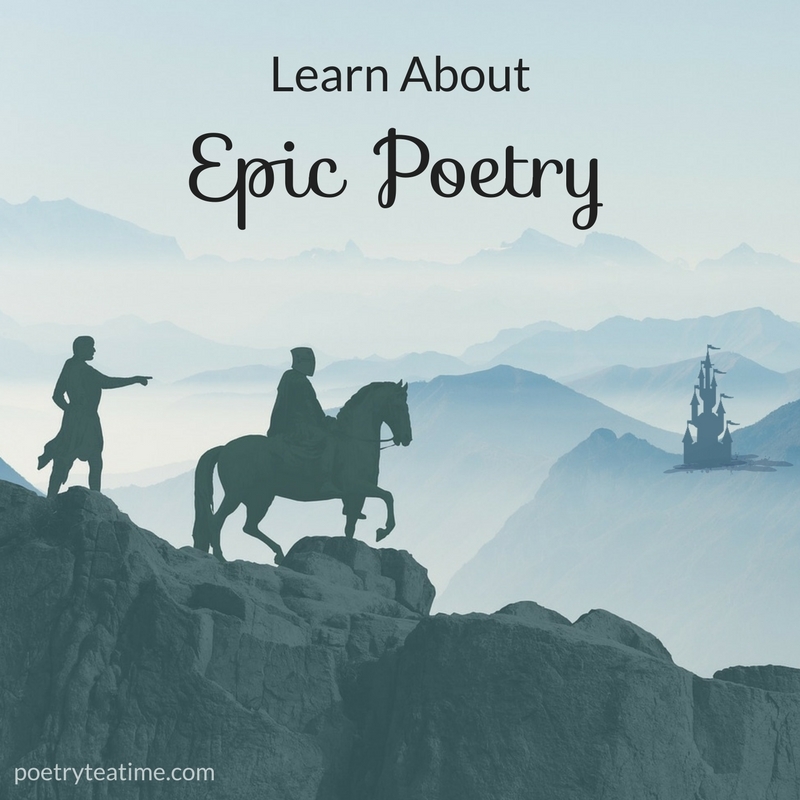 Epic poems are long stories written or recited in verse. They tell of the journey of a hero or group of heroes struggling against all odds to achieve a goal. The hero usually encounters gods, monsters, and mythical beings that help or hinder their quest, and often has the fate of the world at stake in their mission. Other famous epics include Milton’s Paradise Lost, Dante's Divine Comedy, and Edmund Spenser's Faerie Queene. Without further ado, let’s dive into some actual epics! Homer’s Odyssey tells of the struggles of the wise warrior Odysseus as he journey home from the Battle of Troy. Take a look at the opening lines, which feature the “invocation” or call to a muse for inspiration. Yes, even authors of famous epics needed to ask for inspiration sometimes! As he struggled to survive and bring his men home…. Epic poems capture the audience’s imaginations with their vivid characters and exciting adventures. Epics also provide excellent inspiration for writing poetry! Let’s take a look at Alfred, Lord Tennyson’s interpretation of the myth of Odysseus in his poem “Ulysses” (the Latin spelling of Odysseus). Tennyson imagines what it would be like for Odysseus to return from his epic journey and to try to settle back into normal life. I cannot rest from travel…. Tennyson’s Ulysses sure has it rough! You can read the whole poem here on Poetry Foundation. Now that we’ve had a chance to explore some epics, it’s time to study epics in more depth with the following games and activities! Listen to Beowulf in Old English: What’s more epic than reading Beowulf? Hearing the original Old English, of course! 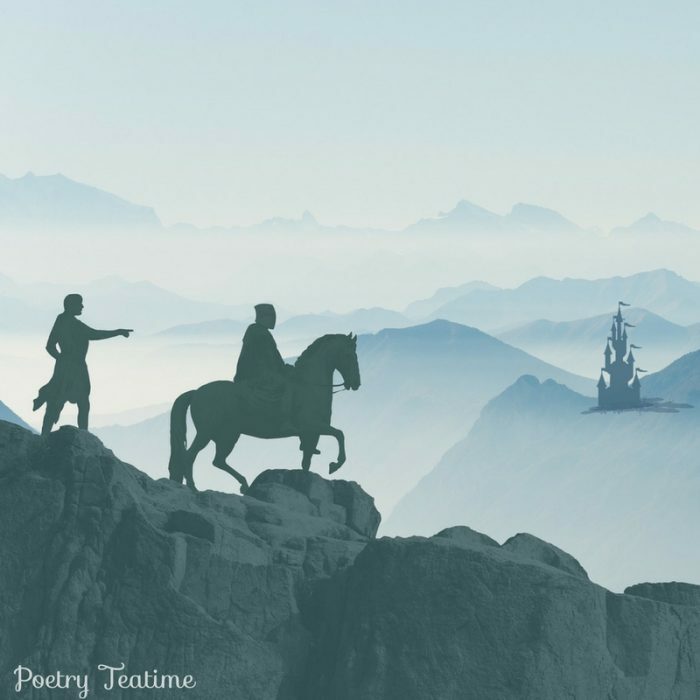 Check out this reading and translation of the prologue from the Telegraph, or Julian Glover’s dramatic recitation that mixes modern English and Old English. You can also listen to Irish poet Seamus Heaney read his beautiful translation of Beowulf here. Use your imagination: Pick a character in a myth and imagine them faced with a completely different danger or enemy, like Tennyson did in “Ulysses.” What would it be like for that hero to battle germs by brushing their teeth? Or what if they faced a fluffy bunny instead of a dangerous beast? No danger is too insignificant! Follow the hero’s journey: Learn about the hero’s journey, which Joseph Campbell used to describe the common plot of many myths where the main character progresses from a normal world through a series of challenges until the final victory. The hero’s journey can be applied to modern stories, too. Check out this infographic showing the hero’s journey in Lord of the Rings, Harry Potter, and more! Look at illustrations: Lost in the length of epic poems? Try an illustrated version to spark your imagination. Look this short comic-style story of Beowulf by Mya Gosling here and some lego art of the Odyssey here to make the stories come to life in detail! Star Trek legends: Did you know that you can learn about ancient Greek myths by watching episodes of Star Trek? That’s right, all you need is a thirst to explore strange new worlds, to seek out new life and new civilizations, and to boldly go where no one has gone before. Check out the lesson here from Geek Families. When reading epic poetry, try to find a translation in verse so you can experience some of the beautiful rhythms of the original poems. The list below has both complete translations best for studying with older teens and some retellings aimed at younger kids.